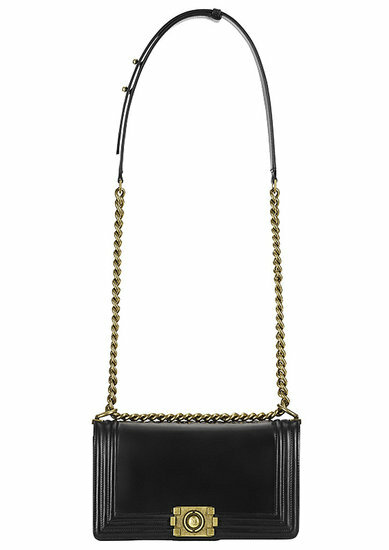 Introducing the new Chanel Boy bags! The collection is brand new and launches next season. Comprising of five oh so covetable bags, they make for a simple and minimal addition to the iconic Chanel handbag collection. Inspired by Coco Chanel’s functional and practical androgynous look, the collection has a pared down, slight utilitarian undertone. The designs are based on a hunting cartridge style originally carried by Coco and the collection is named after Boy Capel, the great love of her life. Having seen Coco Avant Chanel about a billion times, I can just imagine Coco herself creating the beautiful glazed calfskin collection herself. I want. UM! I WANT. I NEED!!! OMG TDF! They look amazing.